Humphries will sign with the Titans, Tom Pelissero of NFL.com reports. 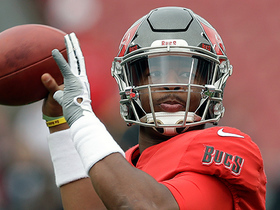 Analysis: The 25-year-old is coming off a 2018 campaign in which he hauled in 76 passes for 816 yards and five TDs for Tampa Bay. He'll give the Titans an upgrade out of the slot position, while working as a steady complement to rising wideout Corey Davis. Humphries brought in five of six targets for 66 yards and returned two punts for nine yards in the Buccaneers' 34-32 loss to the Falcons on Sunday. He also fumbled once, but it was recovered by the offense. Humphries brought in 10 of 12 targets for 79 yards in the Buccaneers' 27-20 loss to the Cowboys on Sunday. Analysis: Humphries was busy throughout the afternoon, and he displayed his toughness by shaking off a vicious shoulder-to-shoulder hit in the second half. The four-year veteran's reception total not only led the Bucs on the day, it also served as a season high. Humphries' yardage tally was his best of the last seven games, and he'll look to finish what has been his most productive campaign against the Falcons in Week 17. Humphries brought in four of six targets for 23 yards in the Buccaneers 20-12 loss to the Ravens on Sunday. He also returned one punt for 12 yards. Analysis: It was a quiet day for the Buccaneers' passing game overall, and Humphries' line was a reflection of such. The trusted possession receiver continues to play well given his opportunities, but he's now been under 50 receiving yards in consecutive games. He'll look to boost his numbers back up versus the tough Cowboys secondary in a Week 16 matchup. Humphries brought in four of eight targets for 42 yards in the Buccaneers' 28-14 loss to the Saints on Sunday. He also returned one punt for 10 yards. Analysis: Humphries co-led the team in receptions on the afternoon, but he was unable to replicate some of the downfield success he'd enjoyed in recent games. The fourth-year receiver continues to enjoy a steady role in the passing game, however, as he now has six or more targets in six of his last eight games. Humphries will look to boost his numbers back up against the Ravens in Week 15. 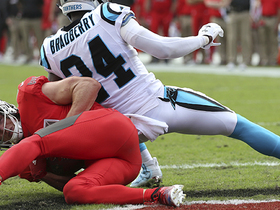 Humphries caught seven of nine targets for 61 yards and a touchdown during Sunday's 24-17 win over the Panthers. 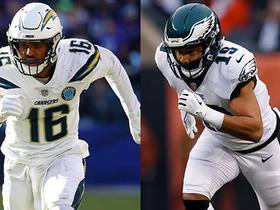 Both Humphries and Chris Godwin are expected to earn increased snaps and targets with fellow wideout DeSean Jackson (thumb) sidelined for Sunday's game against the Panthers, Greg Auman of The Athletic reports. Humphries brought in all six of his targets for 54 yards in the Buccaneers' 27-9 win over the 49ers on Sunday. He also returned one punt for six yards. Analysis: Humphries drew even with Mike Evans for the team lead in receptions while finding the end zone for the second straight game on a nifty play by Jameis Winston where he scrambled around to buy time. Humphries has now topped 50 receiving yards in five straight games, and he's scored all four of his touchdowns for the season during that stretch. He'll look to continue producing against the Panthers in a Week 13 divisional showdown. Humphries brought in three of five targets for 60 yards and a touchdown and returned one punt for 10 yards in the Buccaneers' 38-35 loss to the Giants on Sunday. Humphries brought in two of three targets for 53 yards and added eight yards on one punt return in the Buccaneers' 16-3 loss to the Redskins on Sunday. Analysis: Humphries had much more of a reduced role than in Week 9, when he'd managed eight catches for 82 yards. The fourth-year wideout does continue to see a greater depth of target than in previous seasons, as he's now hauled in a pass of over 25 yards in each of the last two games. Humphries' production will inevitably fluctuate game to game based on his secondary role in the offense, but he's certainly displayed some viability in PPR formats in recent weeks. Humphries brought in all eight of his targets for 82 yards and two touchdowns in the Buccaneers' 42-28 loss to the Panthers on Sunday. He also rushed once for seven yards and returned two punts for 15 yards. Humphries brought in seven of 10 targets for 76 yards in the Buccaneeers' 37-34 loss to the Bengals on Sunday. He also returned one punt for eight yards. Humphries brought in four of his eight targets for 37 yards and returned four punts for 20 yards in the Buccaneers' 26-23 overtime win over the Browns on Sunday. Analysis: Humphries filled his usual complementary role in the short passing game while also continuing his return duties. 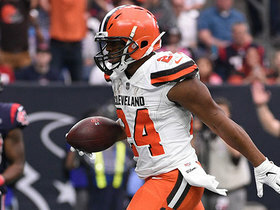 Despite fellow receiver Chris Godwin's emergence, Humphries has managed to retain a modest role in the passing game himself -- factoring in Sunday's production, he's almost a third of the way to the career-high 61 receptions he logged last season, and he's actually sporting the second-highest YPC (11.0) of his career through six games. Humphries brought in three of four targets for 82 yards in the Buccaneers' 34-29 loss to the Falcons on Sunday. He also returned one punt for six yards. Analysis: Humphries ended up in the unfamiliar position of pacing the Buccaneers in receiving yards, with a game-long 51-yard reception largely responsible. The fourth-year pro normally does the majority of his damage within close proximity of the line of scrimmage, so Sunday's 27.3 YPC can safely be considered an outlier. Humphries does have multiple receptions in three straight games, but that's probably not enough to consider him more than desperation bye-week filler in Week 7. Humphries brought in six of seven targets for 36 yards in the Buccaneers' 48-10 loss to the Bears on Sunday. Analysis: Humphries saw a season-high reception and target total in the blowout defeat, although his looks came within close proximity of the line of scrimmage. While the trusted possession receiver drew more attention than fellow wideout Chris Godwin against the Bears, the latter offers considerably more upside and figures to keep Humphries in a modest, safety-valve type of role for the balance of the season. Through four games, Humphries is averaging a career-low 7.8 yards per reception. Humphries brought in three of five targets for 30 yards in the Buccaneers' 30-27 loss to the Steelers on Monday night. He also rushed once for four yards. Humphries brought in one of two targets for eight yards, returned one kickoff for 13 yards and ran back three punts for 18 yards in the Buccaneers' 27-21 win over the Eagles on Sunday. Analysis: As was the case Week 1, Humphries was involved as the primary returner and shared third-receiver duties with Chris Godwin. Both Humphries and Godwin played 29 snaps apiece from scrimmage, but the latter saw four more targets overall. Godwin could eventually overtake the fourth-year wideout due to his superior overall talent, but Humphries' crafty work out of the slot should continue affording him some serviceable playing time throughout the season. Humphries secured three of five targets for 27 yards, returned one kickoff for four yards, and ran back two punts for 17 yards in the Buccaneers' 48-40 win over the Saints on Sunday. Humphries secured all three of his targets for 24 yards in the Buccaneers' 30-14 preseason win over the Titans. Humphries, who signed his restricted second-round tender April 16, could see competition from 2018 fifth-round selection Justin Watson. 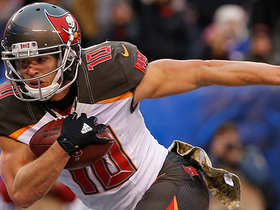 Humphries has signed his restricted free agent tender, Scott Smith of the Buccaneers' official site reports. The Buccaneers are giving Humphries a second-round tender as a restricted free agent, Pewter Report's Trevor Sikkema reports. Humphries brought in seven of 11 targets for 102 yards in Sunday's 31-24 win over the Saints. Humphries brought in all three of his targets for 51 yards in Sunday's 22-19 loss to the Panthers. Analysis: Humphries saw action on 36 snaps with DeSean Jackson out with an ankle injury and posted his best receiving yardage total since Week 6 in the process. The trusted possession man has logged at least three grabs in five straight contests, but his relatively modest yardage totals have limited his fantasy utility to deep PPR formats all season. He'll need just two catches in Week 17 against the Saints to eclipse the career-high 55 he tallied in 2016. Humphries caught all five of his targets for 43 yards and a touchdown in Monday night's 24-21 loss to the Falcons. He also rushed once for six yards and returned two punts for 30 yards. Analysis: Humphries tied for Tampa Bay's team lead in receptions, with his biggest contribution coming on a 16-yard touchdown with under five minutes remaining. 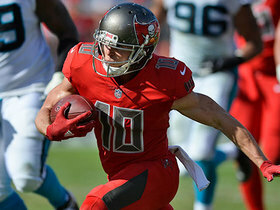 While that marked his first score of the season, if teammate DeSean Jackson (ankle) -- who was forced into an early exit Monday -- is sidelined going forward, Humphries could play a larger role in the Bucs' final two games. In Week 16, however, he has a difficult matchup at the Panthers. Humphries brought in all three of his targets for 25 yards in Sunday's 24-21 loss to the Lions. Humphries brought in all four of his targets for 33 yards in Sunday's 26-20 overtime loss to the Packers. He also returned three punts for 12 yards. Humphries brought in four of six targets for 38 yards in Sunday's 34-20 loss to the Falcons. Analysis: Humphries' contributions were nothing to write home about from a fantasy standpoint, but his reception total was his best over the last four games. Meanwhile, his 38 yards receiving represented his best figure in that category since Week 6. The viability of the 24-year-old possession receiver continues to be limited to deep PPR formats due to his lack of overall upside, but he'll look to continue inching his numbers upward against the vulnerable Packers secondary Week 13. Humphries brought in two of four targets for 11 yards and returned one punt for seven yards in Sunday's 30-20 win over the Dolphins. 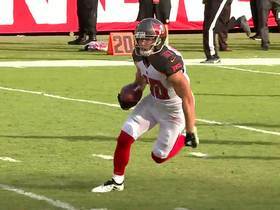 Analysis: Humphries continues to play a significantly reduced role in the Buccaneers offense, as he now has just a pair of receptions apiece in three straight games. The third-year receiver hasn't exceeded 26 receiving yards in five consecutive contests and is yet to find the end zone this season, making him a marginal fantasy prospect at present. Humphries secured two of four targets for 17 yards in Sunday's 15-10 win over the Jets. Humphries mostly figures to play the slot Sunday against the Jets, with Chris Godwin taking over as a more direct replacement for Mike Evans (suspension), Greg Auman of the Tampa Bay Times reports. Analysis: Evans' absence could lead to extra targets, but it probably won't have much impact on Humphries' role in terms of snap share or alignment. Godwin and DeSean Jackson figure to get most of the snaps when the Bucs deploy two-TE formations featuring both Cameron Brate and O.J. Howard. Replacing Evans figures to be a team effort, with the tight ends and running backs potentially also getting some extra opportunities. Humphries (ribs) secured both of his targets for 14 yards in Sunday's 30-10 loss to the Saints. Analysis: Like the rest of the Buccaneers' pass catchers, Humphries turned in subpar production. He equaled his season low in receptions, posted a season-low yardage total and saw his fewest targets of 2017 as well. After a productive four-game stretch in Weeks 2-5 (21 catches for 240 yards), the third-year possession receiver has totaled only 53 yards on eight catches (6.6 YPC) in the subsequent three games. He'll look to boost up his numbers against the Jets in a Week 10 matchup. Humphries (ribs) is active for Sunday's Week 9 tilt against the Saints, Scott Smith of the team's official site reports. Analysis: Humphries was trending toward active status as the practice week went on, and he culminated Week 9 prep with a full session Friday. He'll be available in his usual slot receiver role and as a complementary presence to the likes of Mike Evans, DeSean Jackson and Cameron Brate in the Buccaneers' pass-catching corps. Humphries (ribs) was a full practice participant Friday and is listed as questionable for Sunday's game in New Orleans, Greg Auman of the Tampa Bay Times reports. Analysis: Humphries progressed from a nonparticipant Wednesday all the way to full participation by the end of the week. He thus seems likely to play in Sunday's game and will fill his usual role as the slot man in three-wide formations. Assuming his ribs are OK, Humphries could see a few extra targets in Sunday's game if the Buccaneers want to avoid testing standout rookie cornerback Marshon Lattimore, who is likely to primarily battle with Mike Evans (and possibly DeSean Jackson) on the outside. Humphries (ribs) practiced on a limited basis Thursday, Jenna Laine of ESPN.com reports. Analysis: Making an appearance in the open portion of practice, Humphries is trending in the right direction for active status Sunday in New Orleans. While he hasn't reached the end zone this season, he's averaging 4.1 receptions (on 5.9 targets) for 42.4 yards per game, giving him some utility as the Bucs' No. 3 wide receiver. Humphries (ribs) didn't practice Wednesday, Jenna Laine of ESPN.com reports. Analysis: Humphries rattled off four straight games with more than 50 yards in Weeks 3-6, but he's been held to six catches for 39 yards on nine targets over the past two weeks. Should he end up missing Sunday's game in New Orleans, the Bucs likely would ask Chris Godwin to take on additional snaps, with No. 2 tight end O.J. Howard potentially also getting more involved. 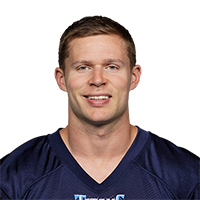 NFL Network's Mike Garafolo has the latest on the Tennessee Titans' decision to sign wide receiver Adam Humphries once the signing is allowed to go through. NFL Network Insider Ian Rapoport, Mike Garafolo and Tom Pelissero break down the 2019 free agent wide receiver market. 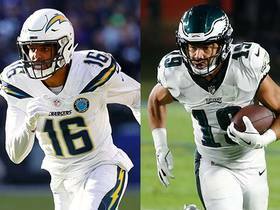 NFL Network's Mike Garafolo and Tom Pelissero evaluate some of the top free agent wide receivers this offseason. 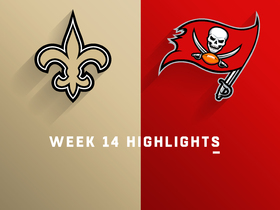 Watch highlights from the New Orleans Saints vs. Tampa Bay Buccaneers game for Week 14 of the 2018 season. Tampa Bay Buccaneers quarterback Jameis Winston throws a stiff-arm at New Orleans Saints defenders, then finds Tampa Bay Buccaneers wide receiver Adam Humphries at the goal line. 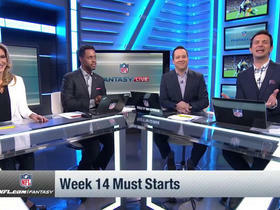 The "NFL Fantasy Live" crew mention their "must start" players heading into Week 14. The "NFL Fantasy Live" crew discusses who will have the advantage in certain key matchups and which players could solve injury issues on your squad. NFL Network's Marcas Grant takes a look at a collection of tweets where people thank players that helped them get to the fantasy playoffs. Tampa Bay Buccaneers quarterback Jameis Winston steps up to find wide receiver Adam Humphries for a 3-yard touchdown. Tampa Bay Buccaneers quarterback Jameis Winston scrambles and throws a 28-yard touchdown pass to Tampa Bay Buccaneers wide receiver Adam Humphries against the San Francisco 49ers.